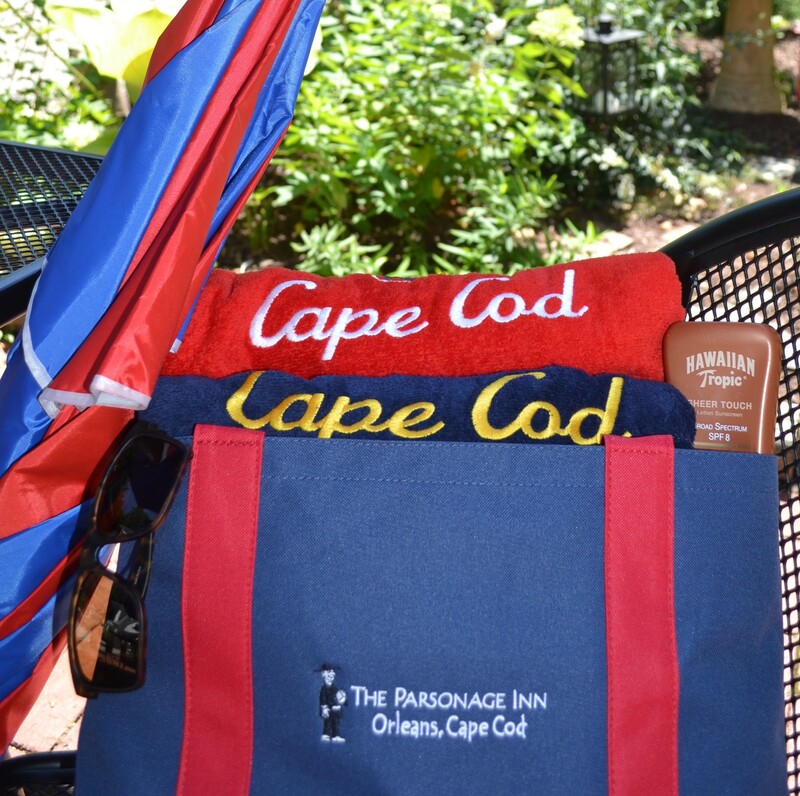 Whatever the season, it’s hard not to think of the amazing Cape Cod beaches. 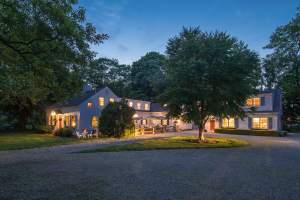 With so many to chose from and many just minutes from the Inn, there is something for everyone. 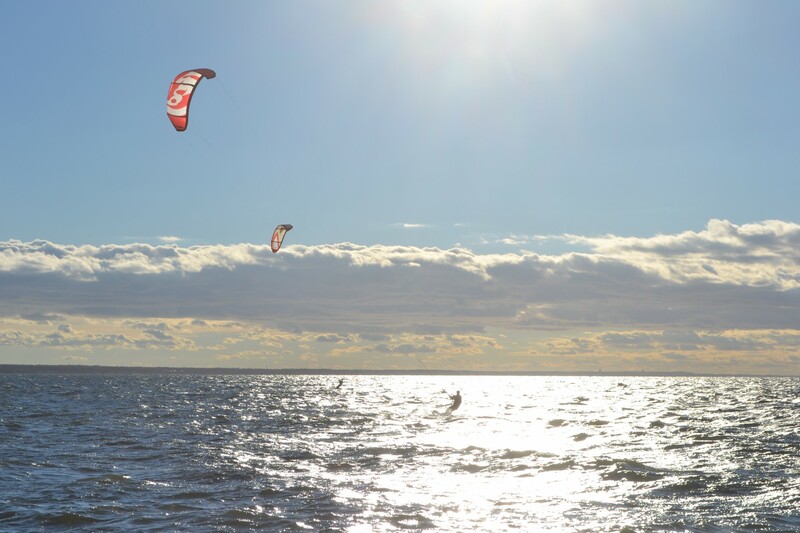 Whether it’s the dramatic sand dunes and rolling waves (a surfers paradise) of the Atlantic, or the flat expanse of the beach at low tide and glorious sunsets of the bayside, the Cape has it all. 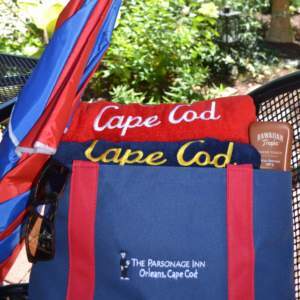 Wherever your plans take you, stay at the Parsonage Inn, grab our beach bag, beach towels, and an umbrella and head off, you wont be disappointed. 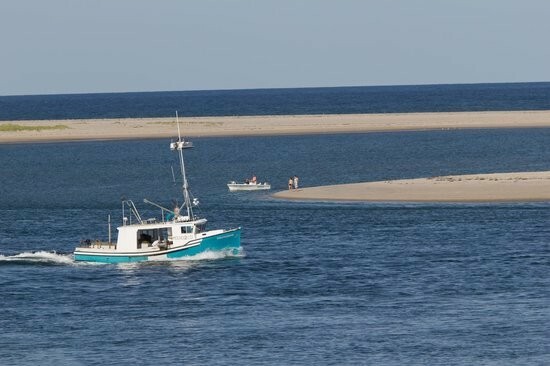 Perhaps we’re a little biased, but we believe Orleans offers some of the best Cape Cod beaches anywhere on the cape. In addition, Orleans has several fresh water kettle ponds and you can experience both ocean and bayside just minutes from the Inn. Don’t take our word though, click here for a list of Orlean’s best. 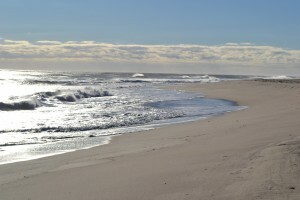 Top of our list has to be Nauset Beach, just a 2 minute drive from us, the Atlantic ocean and 5 miles of white sands. During the summer season, the beach provides lifeguards, restrooms, outdoor showers, and Liam’s beachfront restaurant, complete with their famous onion rings – you have to try them! 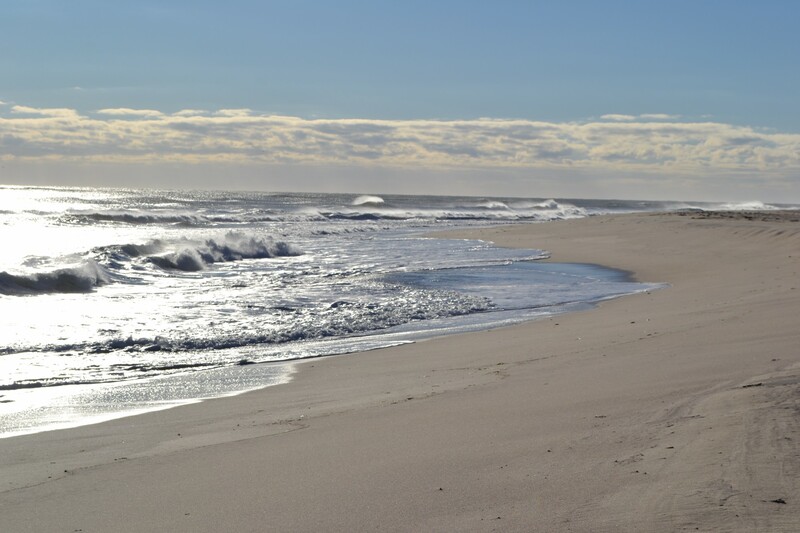 Just 5 minutes from the Inn, but a comparison with Nauset Beach couldn’t be more stark. Its warm clear shallow waters is ideal for those who prefer calm water. 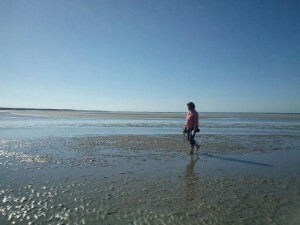 At low tide, you can walk to the oyster beds and through the tidal pools. Sunsets at Skaket Beach are legendary! Skaket Beach offers restrooms, bike racks, lifeguards and a snack bar. 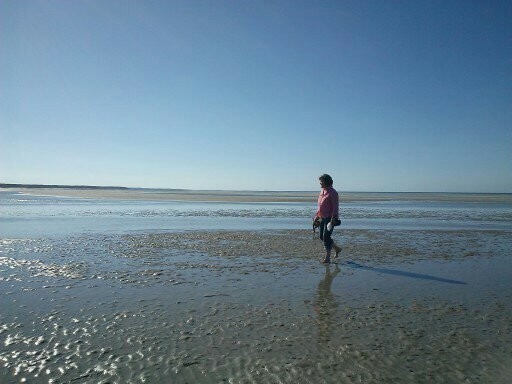 First Encounters Beach in Eastham, has warm clear waters and at low tide, you can walk for miles on the flats. 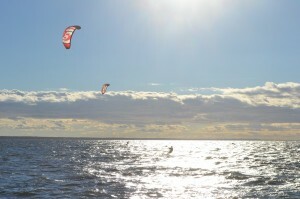 Look out for kite surfers in the shoulder season. First Encounters is a place with historical significance as the site of the first encounter between the Pilgrims and Native Americans prior to their settling in Plymouth. Head of the Meadow Beach, Truro. A gorgeous quiet beach with no boats and lots of seals sunning themselves on the sandbanks. 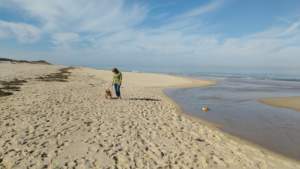 It’s high sand dunes to reach the beach makes it a challenge for handicapped.Head of the Meadow Beach is part of the Cape Cod National Seashore, but is shared with the town of Truro. Planning a day trip to Provincetown, then Head of the Meadows is the perfect stopover. With so many to chose from we have to be somewhat ruthless to make our favorite five and offer different experiences. Our last one is Chatham Lighthouse Beach. 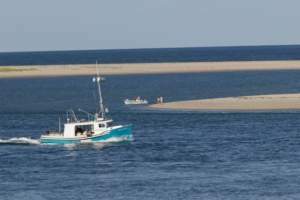 Its a wonderful beach to stroll along, look back on the on the Lighthouse which is still operational and gaze out towards Monomoy National Wildlife Refuge. Watch the fishing boats navigate through the Bars to drop off their catch. Be careful of the strong tidal currents. So many other beaches deserve a mention, Coast Guard Beach, Race Point Beach, Cahoon Hollow, Pains Hollow, Pleasant Bay, Marconi Beach and Ballston Beach. All unique in their own way.